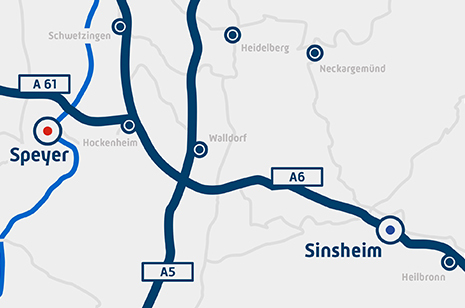 For bus groups, clubs, schools, and vintage car clubs, the Technik Museum Sinsheim and IMAX 3D Laser 4k movie theatre offer excellent opportunities for an exciting day trip. Thousands of visitor groups benefit year after year from our inexpensive package deals, which sometimes include a delicious lunch. Please register your group visit via the registration form in the brochure "Group Packages" (PDF file), or via our registration form. After receipt of your reservation you will receive from us an offer for your selected services. Entrance at the Technik Museum Sinsheim and one show at the IMAX 3D Laser 4k theater*. All group prices in this box are for groups from 15 people, including a mix of adults and children. The IMAX film can be optionally selected by members of the group on the day of the visit. The school class price applies to students of all ages. There is no minimum group size for school classes, as long as the class is accompanied by a teacher. Please note: due to the strong audio-visual impressions, we recommend only visiting the IMAX movie theatre with children from 4 years of age. Entrance to the Technik Museum Sinsheim, a show at the IMAX 3D Laser 4k movie theatre*, with a delicious lunch* and a beverage*. The Self-Service lunch can be chosen by the members of the group on the day of the visit from the museum restaurant’s daily offering. This group package includes an open 0.3L drink. Entrance to the Technik Museum Sinsheim with a delicious lunch* and a beverage*. 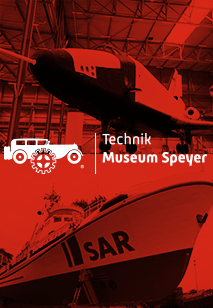 We offer a highly interesting tour of the Technik Museum Sinsheim exhibits for groups. Our museum guide will take you back to the "good old days", and reveal the secrets of many exhibits. Our staff will adjust to the varying interests, characters, and ages of guests. For acoustic reasons, only 40 persons per tour. English and French speaking tours possible. Please specify when booking! Our coffee and cakes offering begins daily from 14:00, and includes a group offer of a cup of coffee, cappuccino, latte, latte macchiato, or tea, and a piece of cake, for a flat rate of € 4.50. This offer can be booked by itself or in combination with a lunch. Duration approx. 2 hours. Due to acoustic restrictions the number of participants is limited to 40 people. After receiving your request we will send you an offer with your requested services.